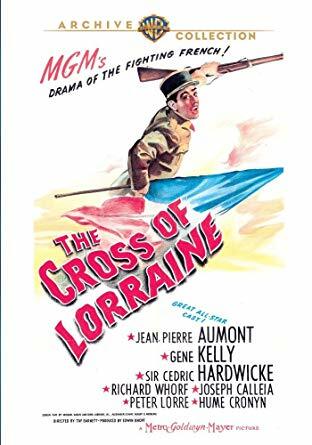 This riveting tale of WW2 from MGM and director Tay Garnett focuses on war torn France during the German occupation and the terrors of a P.O.W camp where many of our first rate cast will suffer indignities under the tyranny of a vicious sergeant played by screen favorite Peter Lorre. All the key players will be introduced during the opening montage of Frenchmen who will leave their civilian life behind to fight against the tyranny of the Nazis. They’ll include Jean-Pierre Aumont, Gene Kelly, Joseph Calleia, Wallace Ford, Hume Cronyn and Jack Lambert. The war will be a short one for the assembled cast and when they are convinced to lay down their arms in surrender, they’ll be loaded into boxcars only to find themselves in Germany as prisoners of war after being told they’d be heading home to their families. 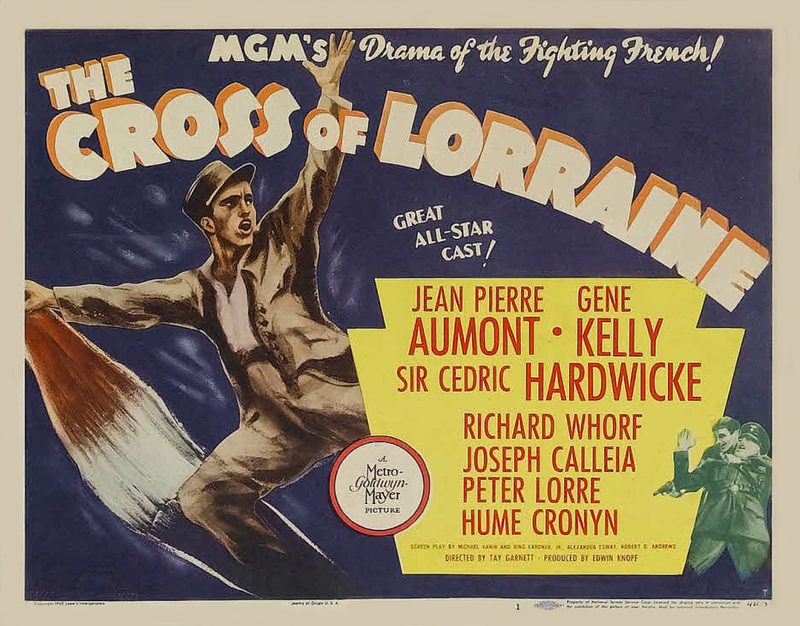 While being admitted to the camp we’ll meet Lorre who helps himself to any valuables the men may have and he will quickly KO Gene Kelly for making a comical reference to Adolf Hitler. From here on out Kelly will be on Lorre’s hitlist. It’s also during the same scene that Cronyn who speaks German will become a collaborator by chance but one who quickly embellishes his position and enjoys the preferential treatment he’ll receive. In turn he’ll find himself ostracized from the core group. In the camp we’ll meet Sir Cedric Hardwicke doing find work as a priest who has been forbidden to practice any religious ceremonies. When one of the key players listed above is set up and murdered by the Germans, Cedric will quietly go about his religious beliefs only to be shockingly murdered himself at the hands of Peter Lorre. A riot ensues giving Lorre the satisfaction of having Kelly in solitary confinement. Again this film pulls few punches and when Lorre goads the chained Kelly, the prisoner will jarringly spit in his face. The crazed Lorre will then savagely kick Kelly to the face in return for his insolence. Believe me this still holds up and must have been a jolting scene for audiences seeing it upon it’s initial release in ’43. Calleia is longing for revenge against the Germans and begins the only way he can. 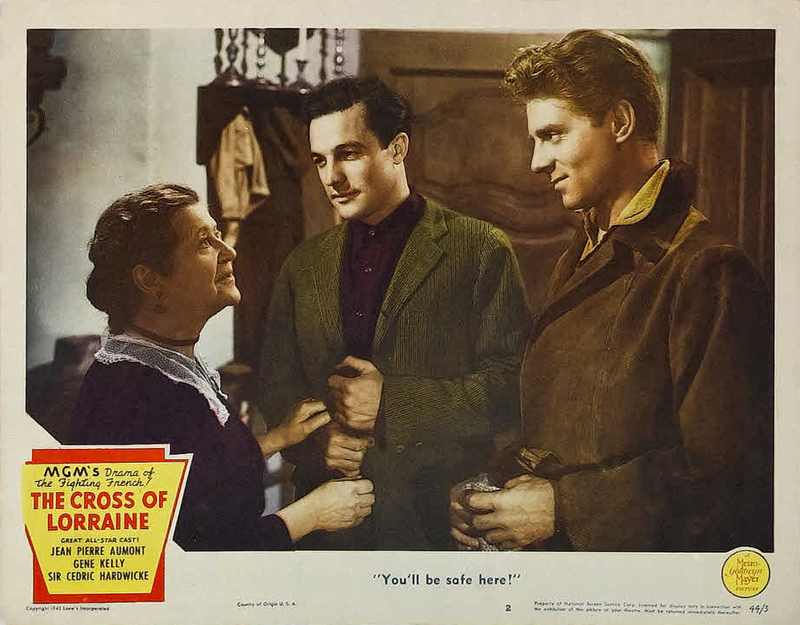 A mock trial decides the fate of Cronyn and again Cross of Lorraine delivers a punch to the audiences of the day. Hume Cronyn has been targeted by the prisoners for his collaborating and if ever an actor looked terrified enough to draw my sympathy, Cronyn does just that as he comes to realize his sentence is death. 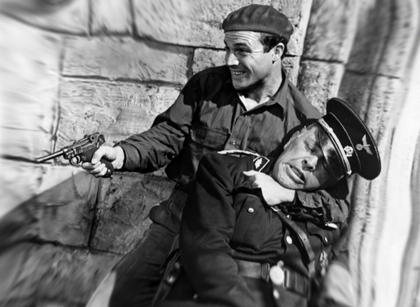 I can’t help but recall Stalag 17 during Cronyn’s demise for it reminded me of another staged killing by POW’s in Billy Wilder’s classic. Still to come is an ingenious jail break where Aumont will save Kelly from both the Germans and himself who after suffering immense tortures at the hands of Lorre has lost the will to fight. The film won’t let up on the violence over the final third either. Lorre will have to get his due reward and again it’s a bloody affair for ’43 as is the final gun battle on the streets of a small French town where common folk are shot down and slaughtered by the invading force. Born just up the road from me in London, Ontario, Canada, Hume Cronyn who exemplifies the weak, conniving villain began his movie career in ’43 and apart from his gentler roles in the 1980’s with his wife Jessica Tandy will always hold a place among great screen villains with roles like this one here and his vicious Captain Munsey in 1947’s Brute Force among others. I can only add that this is a powerful film with stark wartime images for a film of the era and worth the effort to seek out either on a TCM viewing or through the Warner Archive Collection as I have. 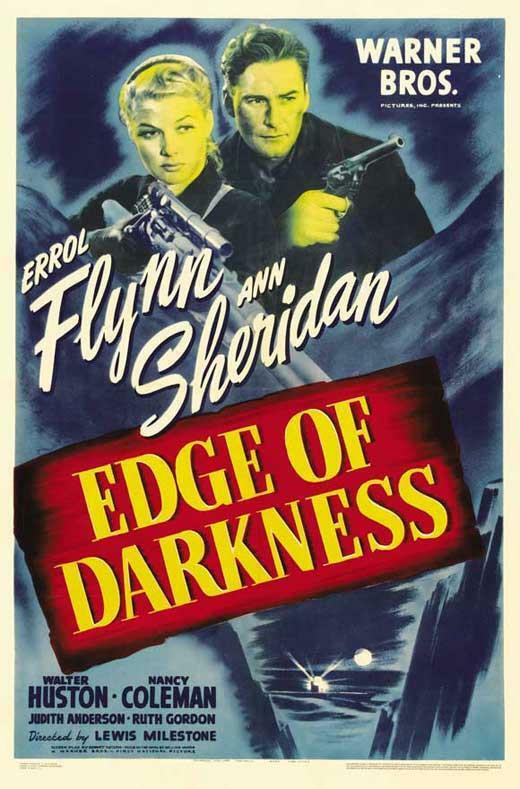 Would make for a hell of a double feature with Errol Flynn’s Edge of Darkness if you’re looking for a recommendation. I remember being surprised at how brutal this was for a 40’s film, propaganda or not. When it ended I was sure it must have gone through the Hayes office on the censors day off! Funny how the first film you see a performer in can often color your impression of their character going forward. I saw Hume Cronyn for the first time in Hitchcock’s Lifeboat as the gentle Stanley and while he could portray a convincing villain I always thought of him as the good guy, trusted friend etc. I’m wondering if the censors let up because there own sense of duty/hatred was getting in their heads. Cause yes this one quite brutal. As for Cronyn, I hear yah. For me it was Brute Force and that stayed with me from a young age. 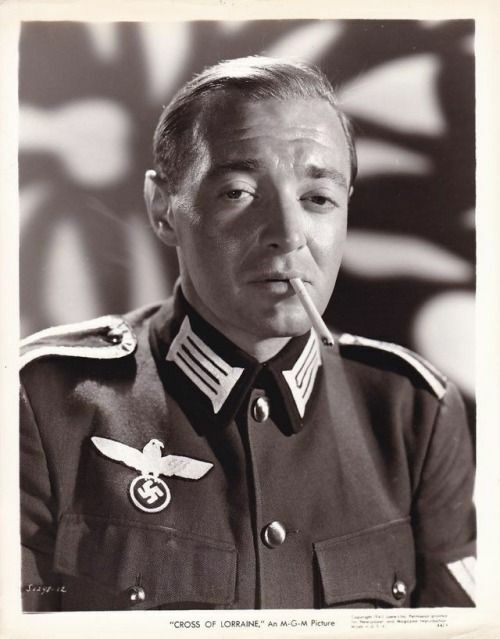 Peter Lorre – a true original! The Fritz Lang quote is marvellous, but I wouldn’t necessarily believe it’s what he said at the time. It’s apparently true he was offered the job by Goebbels and got out of dodge rather sharpish afterwards…but, according to Patrick McGilligan’s comprehensive biog ‘Nature of the Beast’ Lang wasn’t above ‘revising’ his past a little when he spoke about it. In fact, it was apparently bit of a habit with him! Without recorded interviews, who knows what was really said in many cases. The studios were issuing everything and proof reading for Hedda Hopper but it’s still a hell of a quote. lol.